Prices are updated hourly. If you don't see updated info, please try refreshing the page. 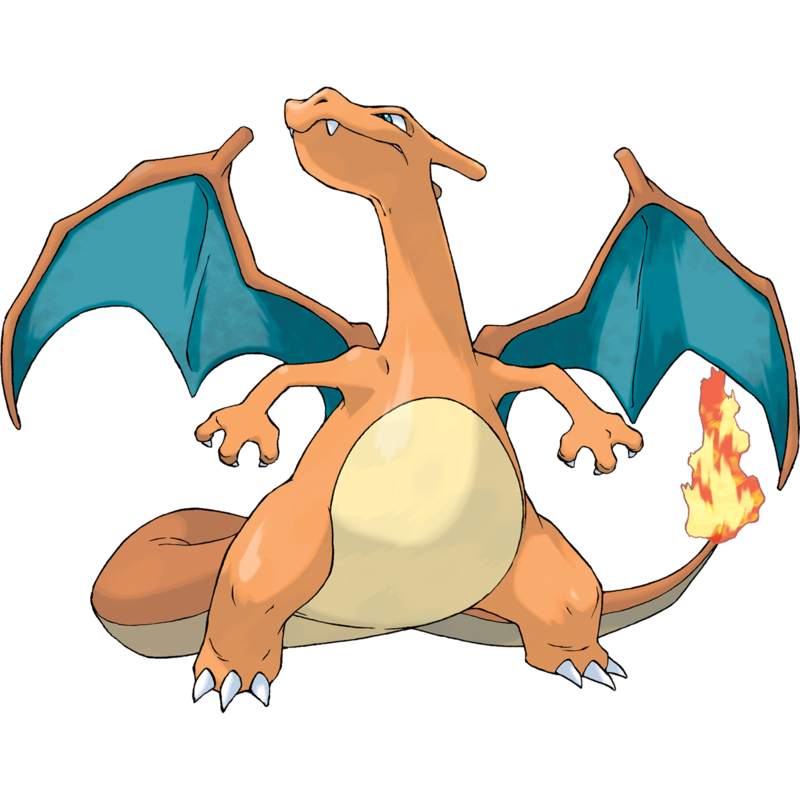 Charizard is a fire and flying type Pokémon. 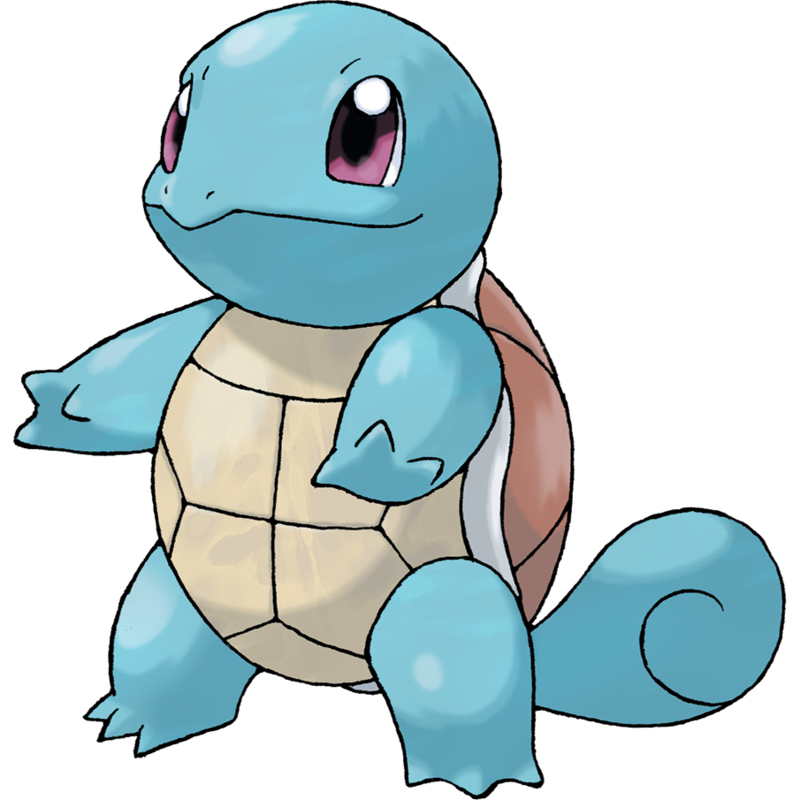 It evolves from Charmeleon. Below is a compiled list of prices and values separated by TCG set. Available are the minimum, average, and maximum prices which are updated on an hourly basis. Each set also contains the current price average percent increase or decrease in comparison to the average for the previous week. 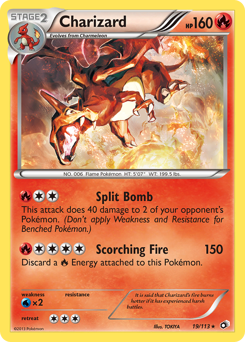 Fire Spin: Discard 2 Energy cards attached to Charizard in order to use this attack. 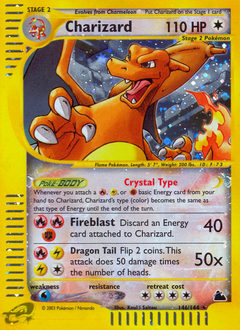 As often as you like during your turn (before your attack), you may turn all Energy attached to Charizard into R for the rest of the turn. 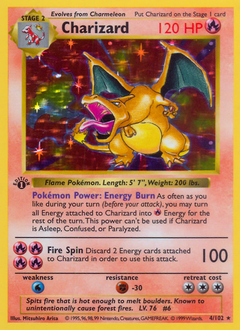 This power can't be used if Charizard is Asleep, Confused, or Paralyzed. Pokemon Charizard Holo Base Set 4/102 MP / Moderately Played Condition! Scorching Whirlwind: Flip 2 coins. If 1 of them is tails, discards 3 Energy cards attached to Charizard. 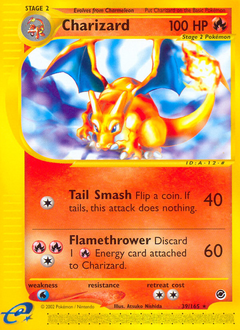 If both of them are tails, discard all Energy cards attached to Charizard. 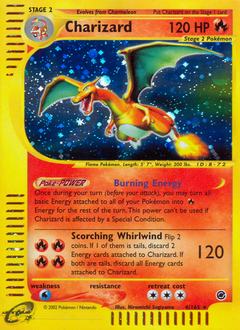 Once during your turn (before you attack), you may turn all basic Energy attached to all of your Pokemon into Fire Energy for the rest of the turn. 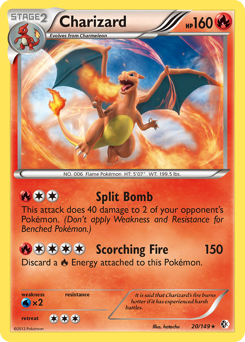 This power can't be used if Charizard is affected by a Special Condition. Pokemon 2002 Expedition Base Set CHARIZARD Rare 40/165 - EXCELLENT CONDITION! Charizard 6/165 Holo Rare Expedition Base Set Pokemon CardÂ Great Condition!!! Tail Smash: Flip a coin. If heads, this attack does nothing. 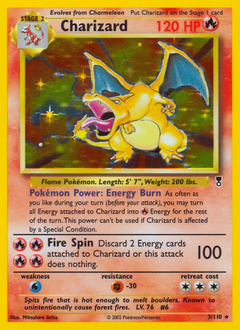 Flamethrower: Discard 1 Energy card attached to Charizard. PSA 8 Pokemon Charizard Rev. Holo 39/165 Expedition Base Set 2002 RARE TCG L@@K! 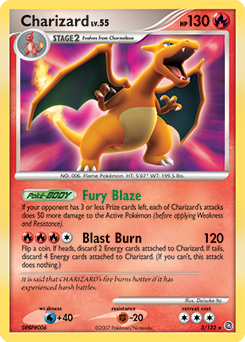 Fireblast: Discard an Energy card attached to Charizard. Dragon Tail: Flip 2 coins. This attack does 50 damage times the number of heads. 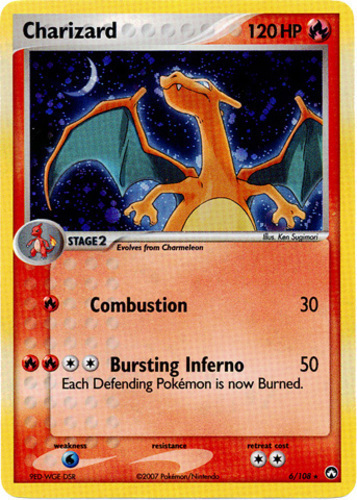 Whenever you attach a Fire, Lightning, or Fighting basic Energy card from your hand to Charizard, Charizard's type (color) becomes the same as that type of energy until the end of the turn. Charizard 100/97 - Ex Dragon Pokemon Card Holo Secret Rare! MINT!! Pokemon EX Crystal Guardians Charizard 4/100 Reverse Holo Heavily Played! 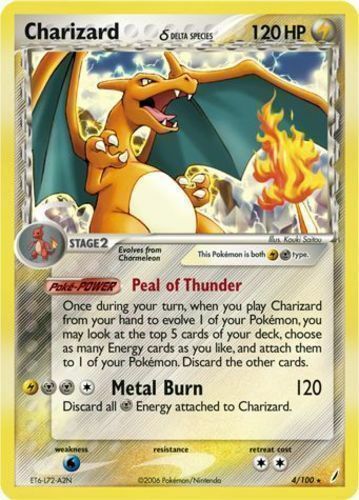 Pokemon EX Power Keepers Charizard 6/108 Reverse Holo Heavily Damaged! Pokemon Charizard 6/108 EX Power Keepers Holo Rare Near Mint Fast Shipping! 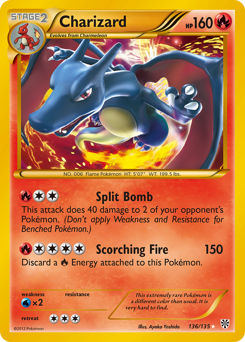 If your opponent has 3 or less Prize cards left, each of Charizard's attacks does 50 more damage to the Active Pokemon (before applying Weakness and Resistance). 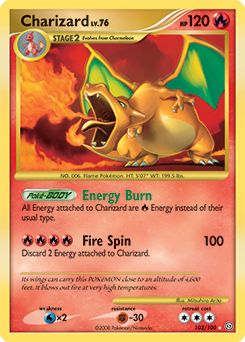 Fire Spin: Discard 2 Energy attached to Charizard. 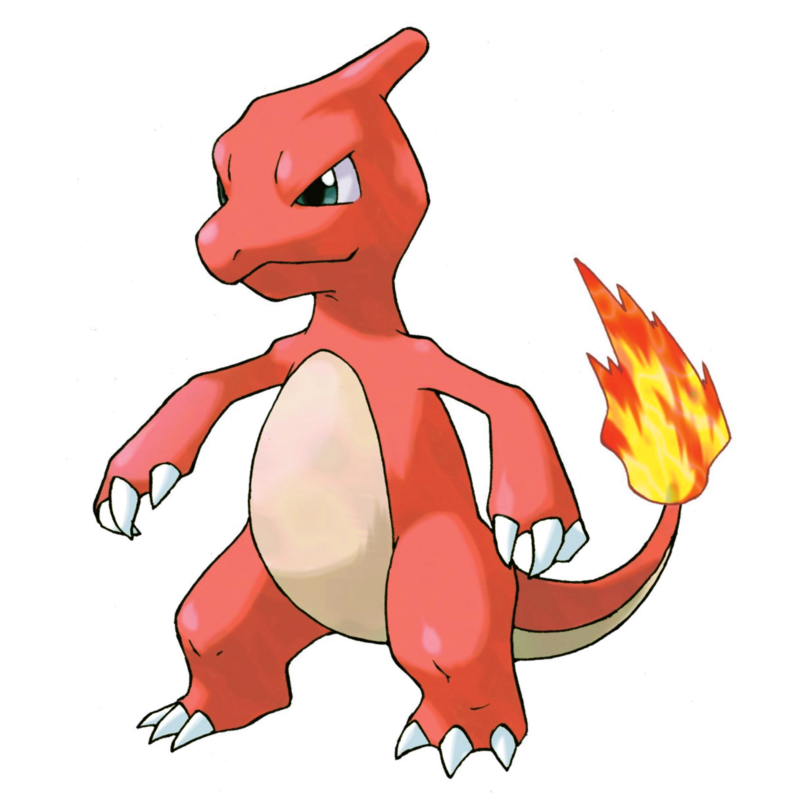 All Energy attached to Charizard are fire Energy instead of their usual type. Stormfront Charizard-Holo 103/100, PSA 9 MINT! 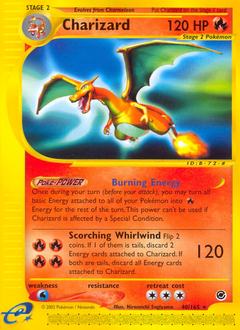 Burning Tail: Discard a Fire Energy attached to Charizard. 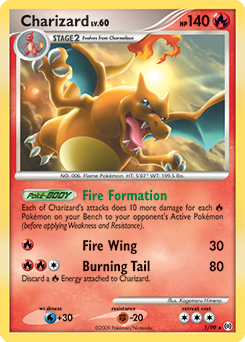 Each of Charizard's attacks does 10 more damage for each Fire Pokemon on your Bench to your opponent's Active Pokemon (before applying Weakness and Resistance). 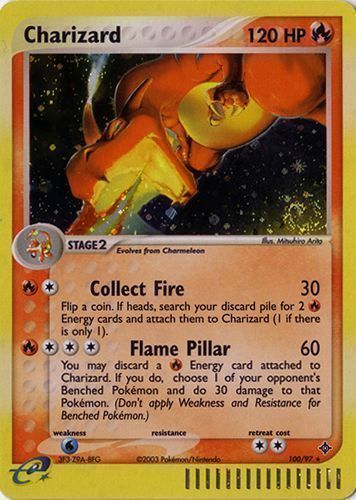 Scorching Fire: Discard a Fire Energy attached to this Pokemon. Pokemon Charizard 136/135 BW - Plasma Storm Secret Rare NM-Mint Fast Shipping! Charizard 136/135 Pokemon B&W Plasma Storm ~ Near Mint! Charizard 136/135 Plasma Storm - Secret Rare Pokemon Card great condition. POKEMON LEGENDARY TREASURES CHARIZARD #19/113 HOLOFOIL CLEAN UNPLAYED NICE! Pokemon CHARIZARD 19/113 LEGENDARY TREASURES REVERSE HOLO RARE great condition! Recall: Choose 1 of this Pokemon's attacks from its previous Evolutions and use it as this attack. 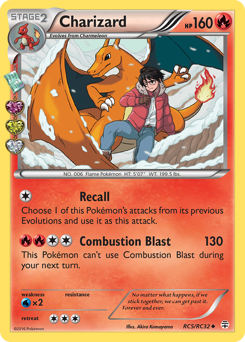 Combustion Blast: This Pokemon can't use Combustion Blast during your next turn. Pokemon Charizard RC5/RC32 Generations Radiant Collection. Holo Card. M/NM. Charizard - RC5/RC32 - Uncommon -(x1)- Generations - NM-Mint!!! 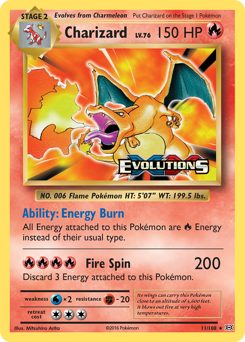 Fire Spin: Discard 3 Energy attached to this Pokemon. 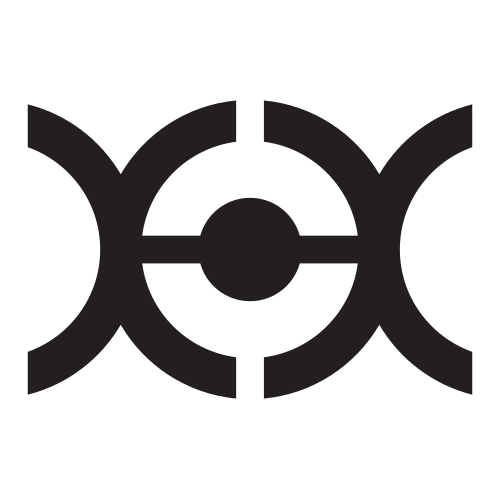 All Energy attached to this Pokemon are Fire Energy instead of their usual type. Charizard 11/108 XY Evolutions Reverse Holo Rare mint PERFECT CONDITION!! WOW!!! 1x Pokemon - Charizard 11/108 - XY Evolutions, Reverse Holo Rare, MINT!